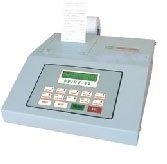 PRIME-44A is popular model of PRIME telephone call billing machines (TCBM). A caller comes to the call shop & dials the destination number from a telephone connected to TCBM. The dialed number is displayed on the TCBM display. As the called party answers, meter starts & display shows the call charges during the call period. When the caller terminates the call, TCBM prints the call bill. We are the leading organization to offer our precious clients an optimum quality Walkie Talkie AMC Service. Sai Power Controls took Installation & Maintenance Services of all types of electronics and telecommunication products in commercial places, home and residential, malls, apartment and shops etc. We provide these services after complete planning and designing in well defined manner. We also deal with repairs of VHF radios at component level. We have successfully executed these repairs for BSNL in AP and Tamilnadu telecom circles. We undertake repairs and Annual Maintenance contracts for Various brands of Digital and analogue Epabx systems, fax machines , CCTV surveillance systems, biometric attendance systems and almost all office automation products. We are also engaged in the Repair of Car Audio Systems. - AMC of EPBX and Cabling. With our technical expertise and a reputation for service excellence we aim to provide best of repair and refurbishment services for telecommunication products. 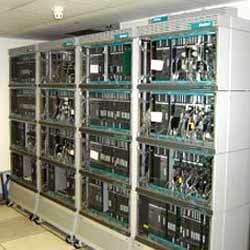 Our services are designed to meet the customer demand and the latest technology is involved in undertaking of repair projects. Our clients can avail Laptop Inverters, that are appreciated for their durable and efficient performance. Owing to their superior quality, the users can use their laptops for several hours without any interruption.